Shots were fired at a park and ride near where Interstate 8 meets State Route 79. A sergeant shot and killed a possible murder suspect at a rest stop near Descanso on Wednesday, according to sheriff’s deputies. Craig Petersen, 52, was shot by a sergeant at 1 p.m. Wednesday at a rest area off Interstate 8 and State Route 79 near Descanso, deputies said. 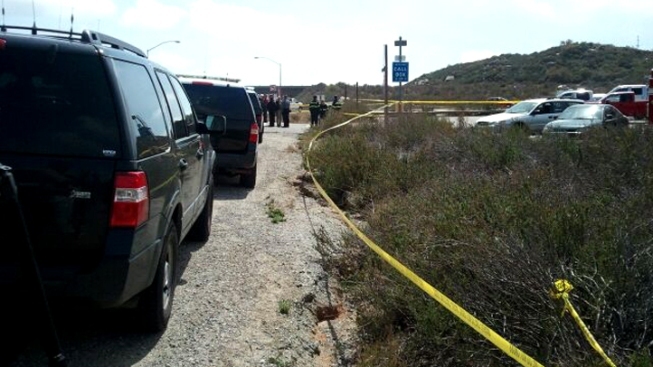 The incident started when deputies responded to a report of a stabbing at a house in the 2100 block of Borrego Hills Road around 7 a.m. Wednesday. "Once the deputies arrived on scene, they found a white male adult with trauma to his upper body," said Sgt. Roy Frank. "Paramedics and deputies rendered first aid." 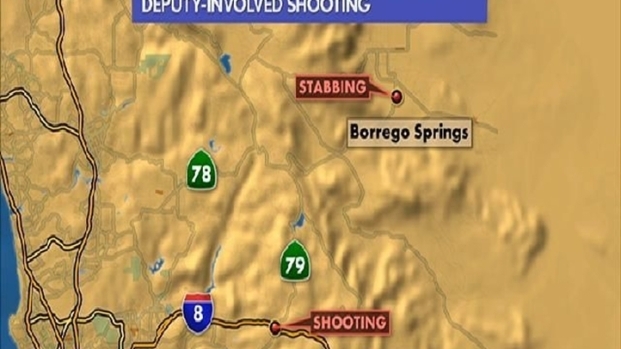 A sergeant shot and killed a possible murder suspect at a rest stop near Descanso on Wednesday according to sheriffs deputies. The victim was pronounced dead on scene. Witnesses at the scene were able to give deputies a description of the suspect. Early Wednesday afternoon a sergeant spotted a pickup truck matching the description of the suspect’s truck, deputies said. "The sergeant was looking through the area and off a hunch he came to this location and located the blue F150," said Sgt. Frank. It was parked in a parking lot at the rest area off Interstate 8 and State Route 79 near Descanso. The sergeant approached the pickup truck and noticed a man sitting in the bed of the truck matching the suspect’s description, deputies said. "As he continues to walk up on the truck, the suspect grabbed a weapon that appeared to be a firearm," said Sgt. Frank. "The sergeant at that time discharged his firearm hitting the suspect." Petersen and the 72-year-old stabbing victim have known each other for at least 10 years, according to deputies. But they won’t say what their relationship was or what led up to the incident.